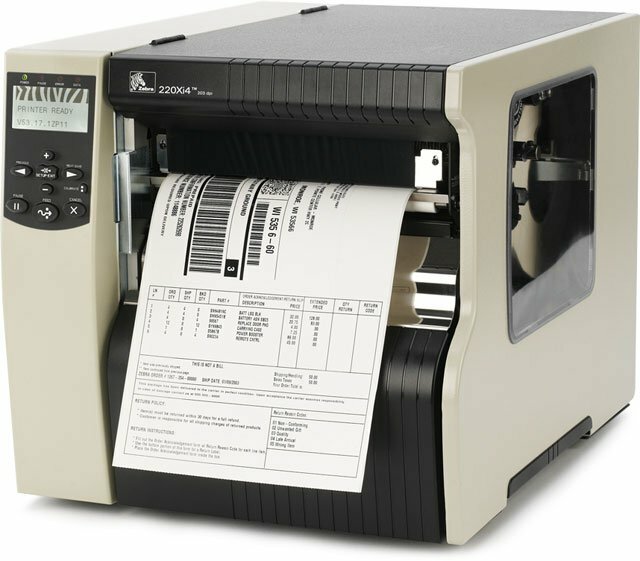 Thermal transfer Industrial Printer (203 dpi, Ethernet, USB, Parallel, and Serial (RS-232) interfaces, 8.5" max print width, 16MB SDRAM, Clear Media Side Door & Media Hanger). Includes power supply. Cables sold separately. See accessories. Thermal transfer Industrial Printer (300 dpi, Ethernet, USB, Parallel, and Serial (RS-232) interfaces, 8.5" max print width, 16MB SDRAM, Cutter, Clear Media Side Door & Media Hanger). Includes power supply. Cables sold separately. See accessories. Thermal transfer Industrial Printer (203 dpi, Ethernet, USB, Parallel, and Serial (RS-232) interfaces, 8.5" max print width, 16MB SDRAM, Cutter, Clear Media Side Door & Media Hanger). Includes power supply. Cables sold separately. See accessories. Thermal transfer Industrial Printer (300 dpi, USB, Parallel, and Serial (RS-232) interfaces, 8.5" max print width, 16MB SDRAM, Clear Media Side Door & Media Hanger). Includes power supply. Cables sold separately. See accessories. Thermal transfer Industrial Printer (203 dpi, Ethernet, USB, Parallel, and Serial (RS-232) interfaces, 8.5" max print width, 16MB SDRAM, Rewinder and Peeler, Clear Media Side Door & Media Hanger). Includes power supply. Cables sold separately. See accessories. Thermal transfer Industrial Printer (300 dpi, Wi-Fi, Ethernet, USB, Parallel, and Serial (RS-232) interfaces, 8.5" max print width, 16MB SDRAM, Clear Media Side Door & Media Hanger). Includes power supply. Cables sold separately. See accessories. 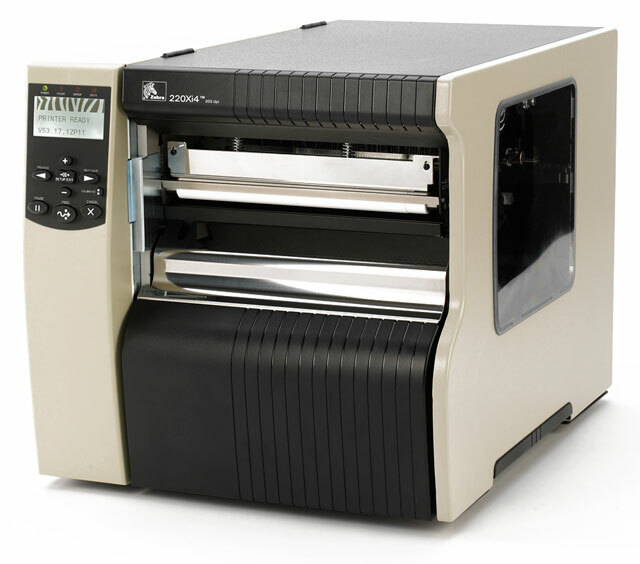 Thermal transfer Industrial Printer (300 dpi, Ethernet, USB, Parallel, and Serial (RS-232) interfaces, 8.5" max print width, 16MB SDRAM, Rewinder and Peeler, Clear Media Side Door & Media Hanger). Includes power supply. Cables sold separately. See accessories. Thermal transfer Industrial Printer (203 dpi, Wi-Fi, Ethernet, USB, Parallel, and Serial (RS-232) interfaces, Cutter and catch tray, 8.5" max print width, 16MB SDRAM, Clear Media Side Door & Media Hanger). Includes power supply. Cables sold separately. See accessories. Thermal transfer Industrial Printer (203 dpi, Wi-Fi, Ethernet, USB, Parallel, and Serial (RS-232) interfaces, 8.5" max print width, 16MB SDRAM, Clear Media Side Door & Media Hanger). Includes power supply. Cables sold separately. See accessories. 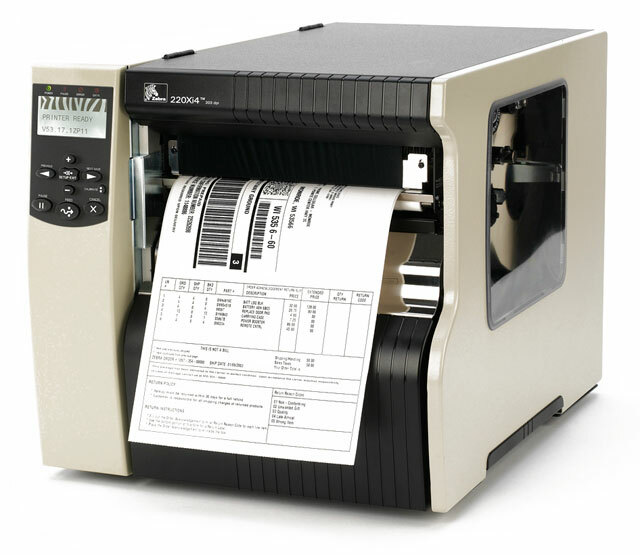 Thermal transfer Industrial Printer (203 dpi, Ethernet, USB, Parallel, and Serial (RS-232) interfaces, 8.5" max print width, 16MB SDRAM, Clear Bi-fold Media Side Door & Media Hanger). Includes power supply. Cables sold separately. See accessories. Thermal transfer printer (300 dpi, Wi-Fi, Ethernet, USB, Parallel, and Serial (RS-232) interfaces, 8.5" max print width, 16MB SDRAM). Includes power supply. Cables sold separately. See accessories. Thermal transfer Industrial Printer (300 dpi, Ethernet, USB, Parallel, and Serial (RS-232) interfaces, Applicator Interface Port 8.5" max print width, 16MB SDRAM, Rewinder and Peeler, Clear Media Side Door & 3" Media Spindle). Includes power supply. Cables sold separately. See accessories. Thermal transfer Industrial Printer (300 dpi, Ethernet, USB, Parallel, Serial (RS-232), and Applicator (5v) interfaces, 8.5" max print width, 16MB SDRAM, Rewinder and Peeler, Clear Media Side Door & Media Hanger). Includes power supply. Cables sold separately. See accessories. Thermal transfer Industrial Printer (300 dpi, Ethernet, USB, Parallel, Serial (RS-232), and Applicator (5v) interfaces, 8.5" max print width, 16MB SDRAM, Clear Media Side Door & Media Hanger). Includes power supply. Cables sold separately. See accessories.